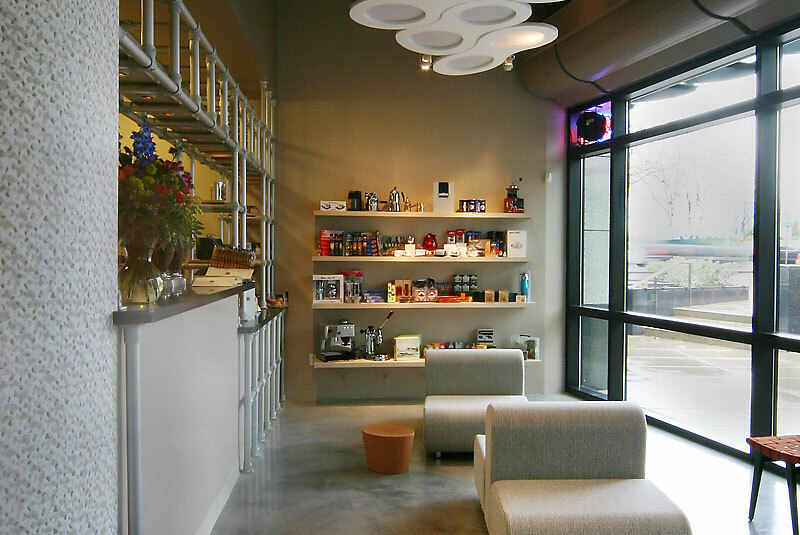 Lighting design for an eclectic European coffee, crepes and art café located in the shadow of Seattle’s Space Needle. 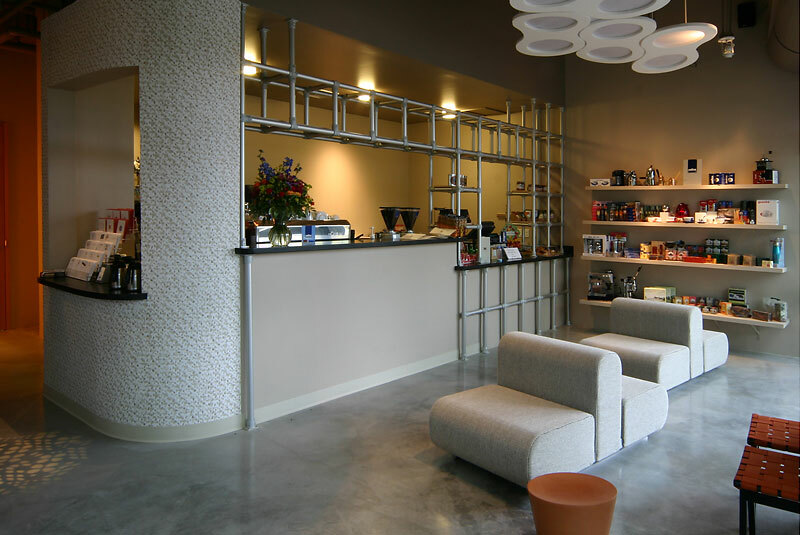 The design intent was to create a warm inviting atmosphere that encourages patrons to linger and environment in which to showcase hand blown European glass art. Simple fluorescent strip lights outfitted with colored gels and concealed within coves cast a warm glow above the niche seating. 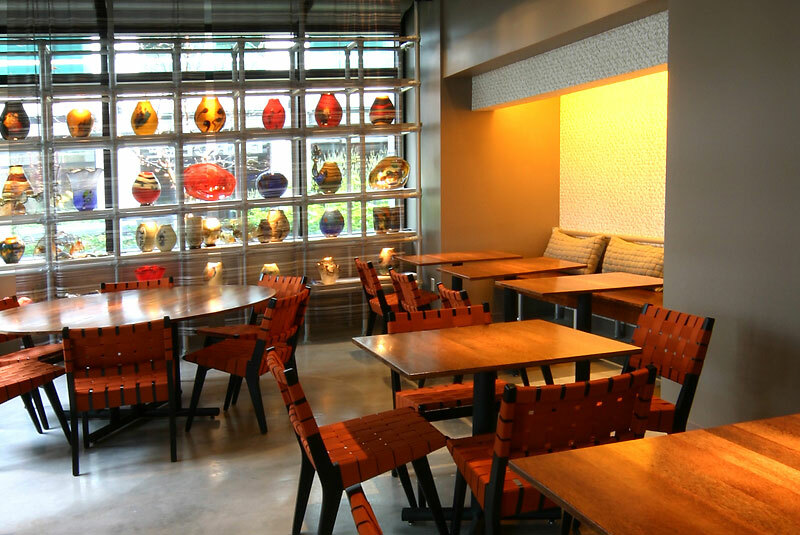 Glass is the focus of the café seating area. 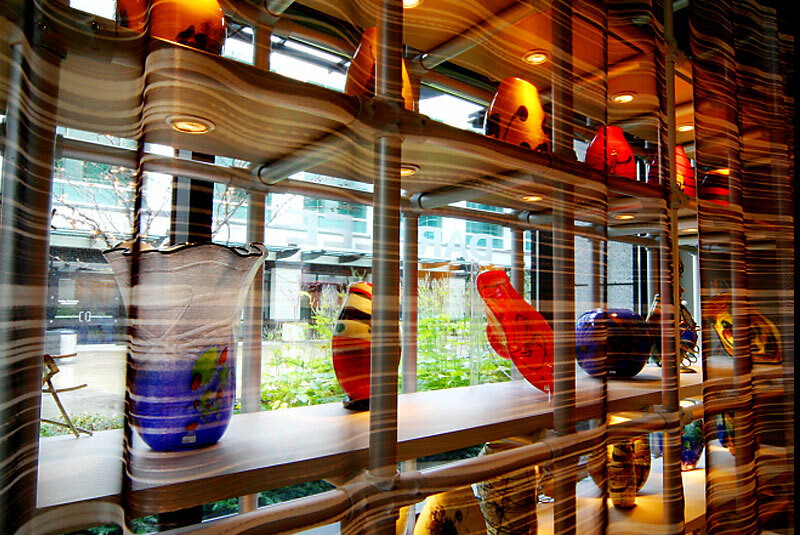 Drama is created as the colors of the art glass are set aglow with small halogen sources canceled within the custom display shelves. The halogen source fully renders the vibrant colors inherent of the art glass. Abstract “clouds” conceal PAR spotlights. 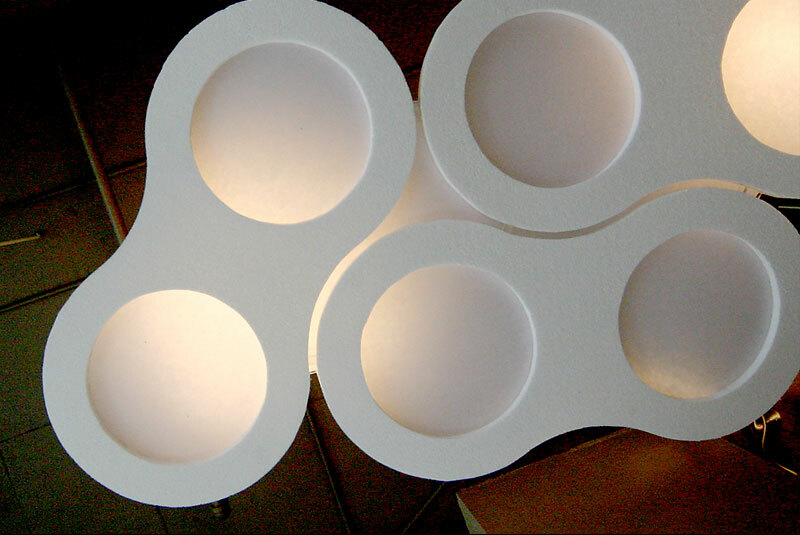 Semi-translucent backing is illuminated, creating a soft diffuse glow and general ambient lighting. Pattern projectors cast a fanciful pattern on the floor, generating visual interest.